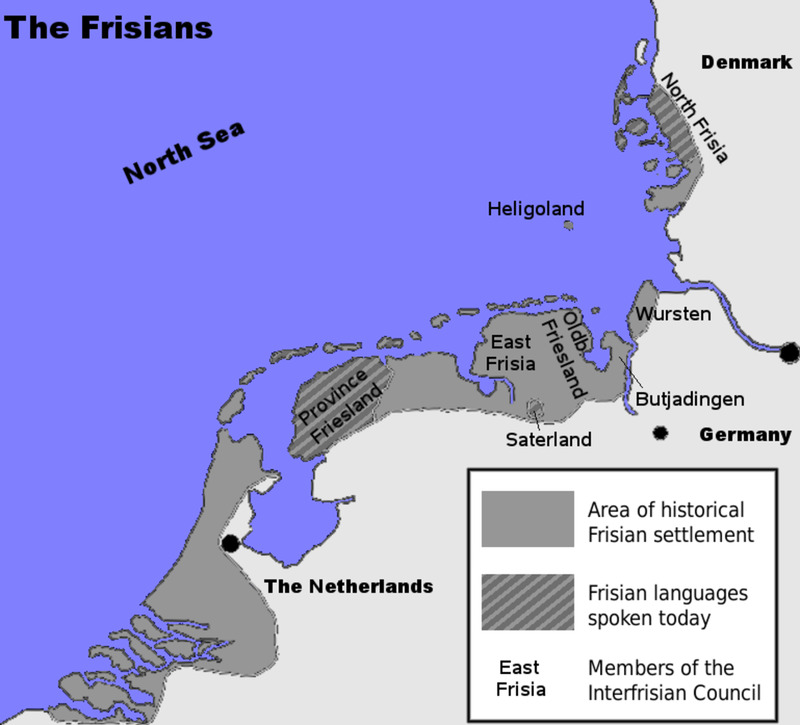 Western Europe came crawling out of the "Dark Ages" with the arrival of Frankish kings, whom, in collaboration with the papacy in Rome, gained enough strength to stabilize and consolidate the huge territories they owned in Europe. The symbol of this strength was illuminated on Christmas Day in 800 AD with the coronation of Charlemagne as Holy Roman Emperor. Under Charlemagne's reign came the Carolingian Revival or renaissance, as some like to call it. It was a period of intellectual and cultural revival during the Carolingian dynasty and occurred from the late 8th century to the 9th century during the reigns of Charlemagne, Louis the Pious, and Charles the Bald. 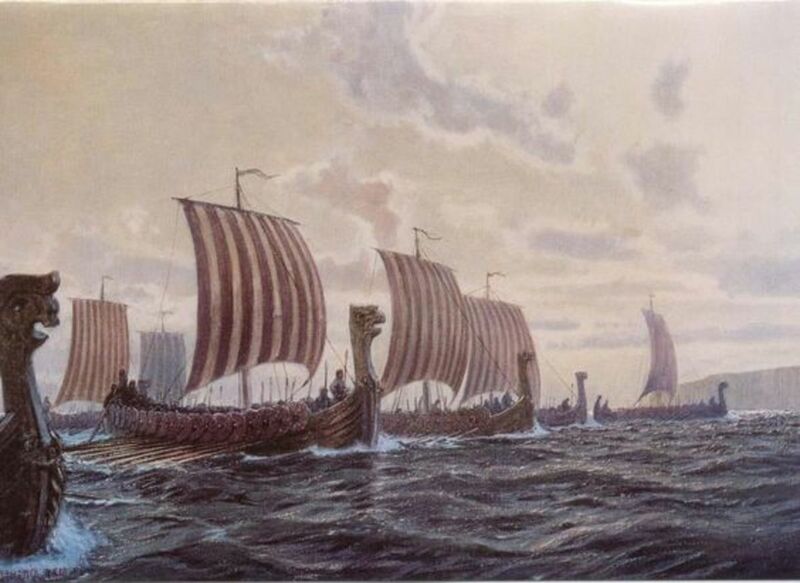 All three men were forward thinking and forward looking leaders who at the time wanted to connect the Carolingian empire to the Byzantine and Roman Empires of the past. Charlemagne, the first of these progressive leaders, sought to recreate the Roman Empire from his capital, Aachen (Aix-a-Chapelle), France. Charlemagne implemented the Byzantine imperial bureaucracy of educational administration to his court in France. He sought a renovatio (Italian for "revival') for his empire. Many scholars today call it a renaissance, but it was not that large in scope. It was a time of increased interest in literature, writing, arts, architecture, jurisprudence, liturgical reforms and scriptual studies. He concentrated and took a personal interest in the written word, the primary medium for learning, and a written script evolved in his time. 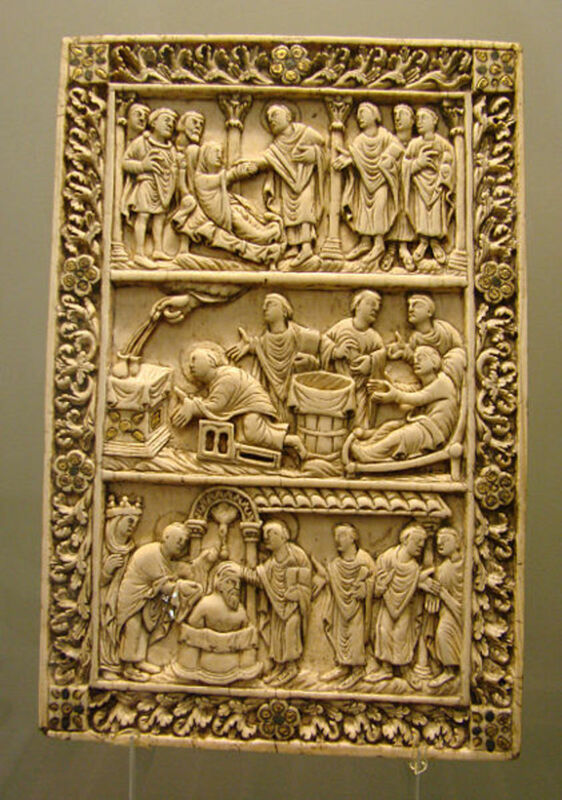 Supported by the scholars of the Carolingian court, specifically by Alcuin of York, Charlemagne set up centers of learning in monasteries across present day France and Germany and through these centers masterpieces of Carolingian art were produced. It was through Charlemagne's manifestos, "Admonitis generalis" (789) and "Epistola de letteris colendis" that these educational and learning center were set up. 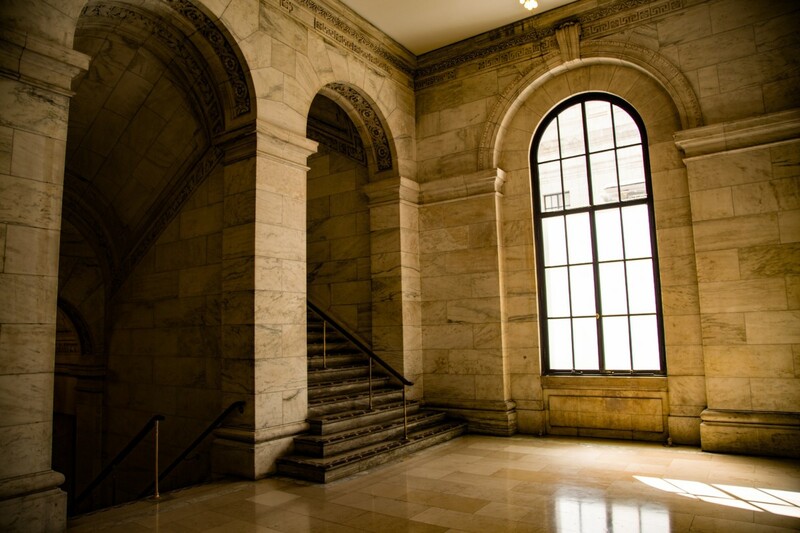 However, these centers and the effects of this cultural revival were not for the masses, but limited to a small group of court literati and church clerics. It affected education and culture in France the most and most importantly, it affected "the moral regeneration of society." 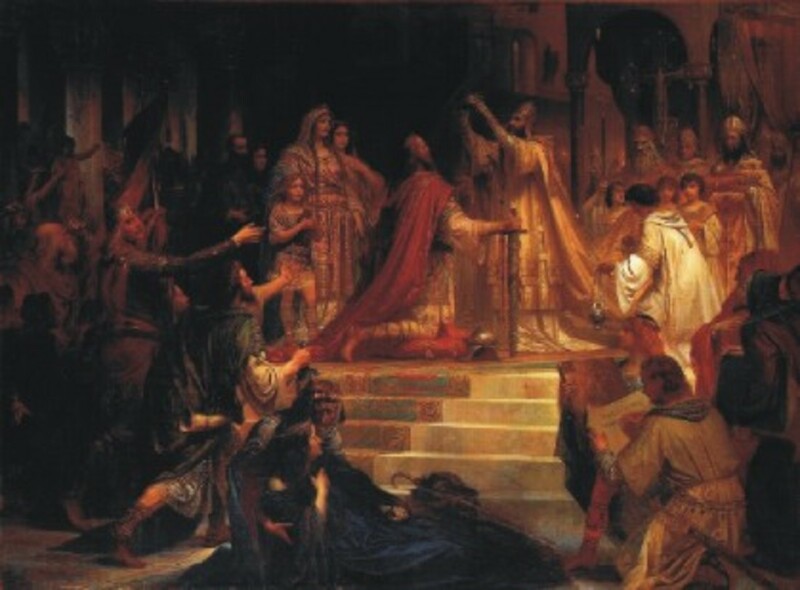 Charlemagne and his revival are given credit for the survival of Western civilization. At the time, the illiteracy of 8th century Western Europe caused problems for the Carolingian rulers because it limited the number of people capable of serving as court scribes. Not all parish priests could read the Bible and this prevented scholars from one part of Europe being able to communicate with persons from another part of Europe. That is why Charlemagne ordered the creation of these schools and learning centers and workshops. Peter of Pisa, from 776-790 instructed Charlemagne in Latin. 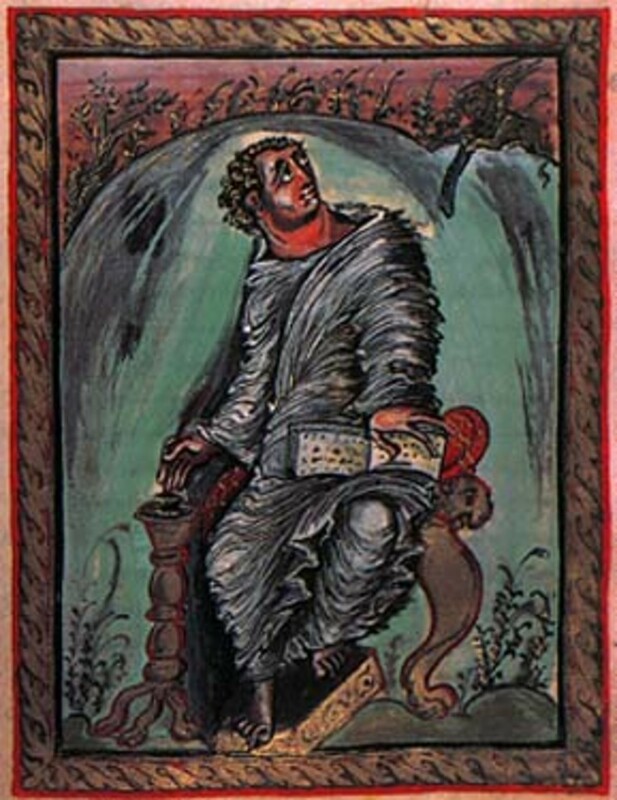 Paulenus of Aquileia, from 776-787 was at the Carolingian court. Charlemagne nominated him as patriarch of Aquileia in 787. The Lombard, Paul the Deacon was at the court from 782-787 and then Charlemagne nominated him as the abbot of Montecassino. Alcuin of York from Northumbria, England, was a monk and deacon who served as head of the palace school at Charlemagne's court from 782-796. After this Alcuin continued his scholarly work as the abbot of St. Martin's Monastery in Tours. The primary purpose of calling on these scholars and establishing these schools was for the creation of a standardized curriculum for use at the recently created schools. Alcuin was responsible for the writing of textbooks, the creation of word lists and the establishment of the trivium and quadrivium as the basis for education. 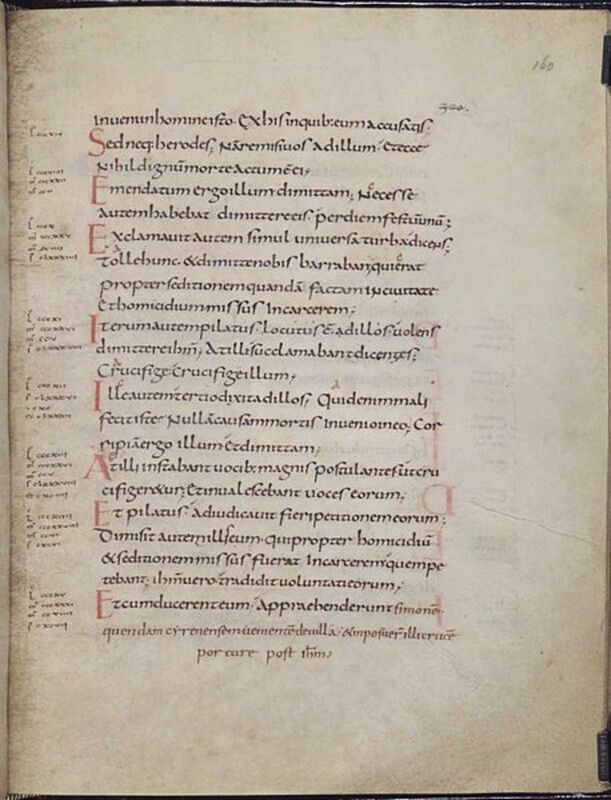 Another important development of these Carolingian schools was the minuscule, "a book-hand" used in the monasteries that introduced the use of lower case letters. Never before had they been used in writing. A standardized version of Latin was also developed during this time and it retained grammatical rules of classical Latin and also contributed to the coining of new words. This became medieval Latin, the common language of scholarship, andn it permitted administrators and travelers to make themselves understook across Europe. The schools and the Carolingian court made great strides to write better Latin, to copy and preserve patristic and classical texts, and to develop a more legible and classicsizing script. They developed an early modern Italic script from looking back to classic Roman times. For the first time, church leaders applied rational ideas to social issues, thus providing a common language and a writing style that allowed for communication across most of Europe. Because of this, Western civilization survived the "Dark Ages." One of the most extraordinary of illuminated manuscripts in Europe is the Book of Kells from Ireland. 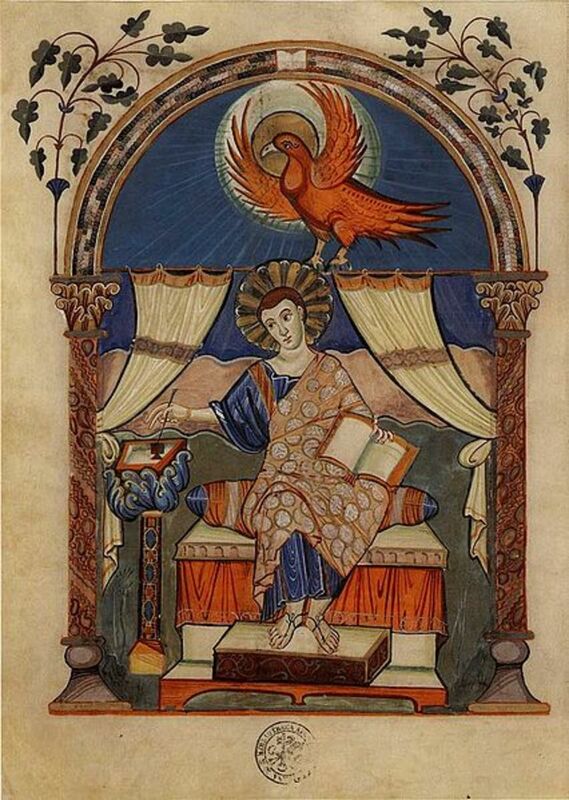 In my travels throughout Europe, I have always been fascinated by the beauty, intricacies, bold colors, and decoration of the illustrated manuscripts that the monks and clerics wrote and illustrated at the monastic schools Charlemagne created. I have seen many of them throughout France, Britain and Germany. All hand written and drawn because the printing press was not invented until the 1400's, they represent the art of the Carolingian period. And these illustrated manuscripts are the art that has survived this period of time. These manuscripts show the great quality of workmanship and sophistication of design from these different centers of learning set up by Charlemagne. 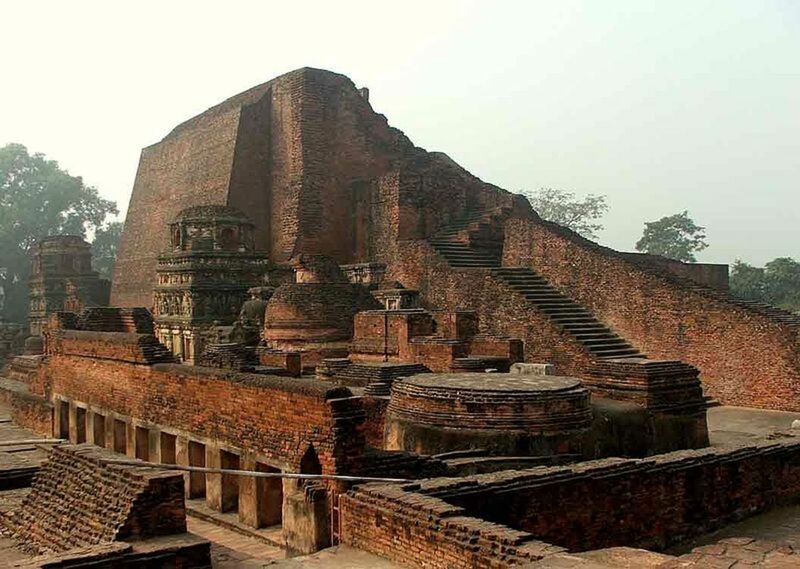 It is art produced by and for the court circle and a group of important monasteries under imperial patronage. 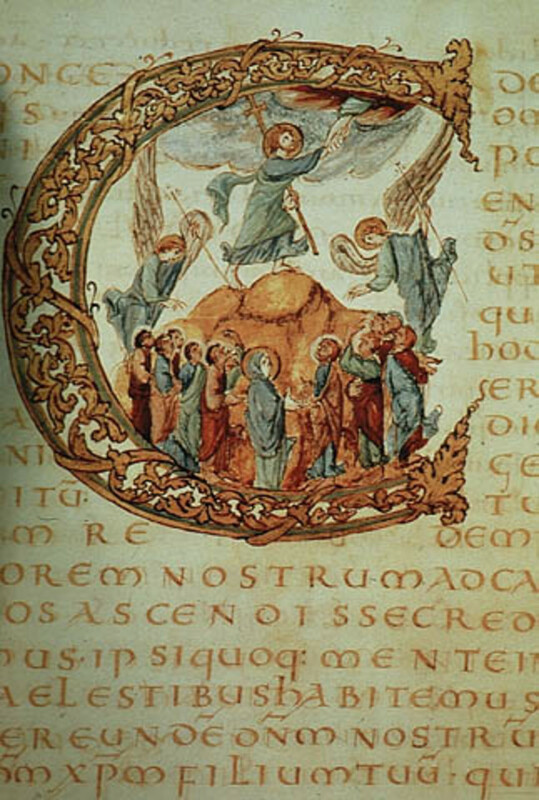 The illustrated manuscripts attempted to revive and emulate the classical Mediterranean art forms and styles and became the basis for the Romanesque and Gothic art styles to come later. Many of these manuscripts are copies or reinterpretations of Late Antique or Byzantine models and insular art from Celtic models added to the Carolingian manuscripts which used interlacedecoration which allowed decoration to spread around and into the text on the page of a manuscript. 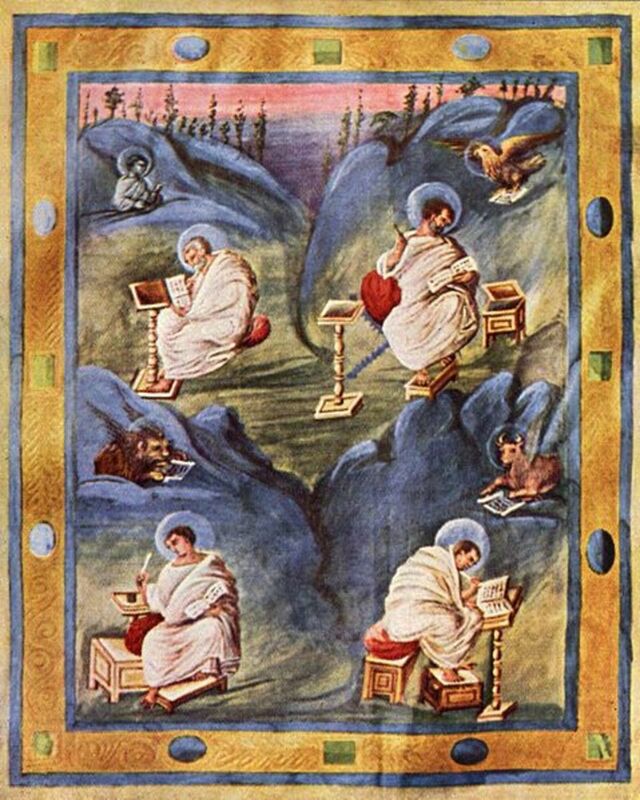 Most of the manuscripts that have survived the Carolingian Revival are mostly gospel books because that is what monks and church clerics would have been writing and copying from Roman times. 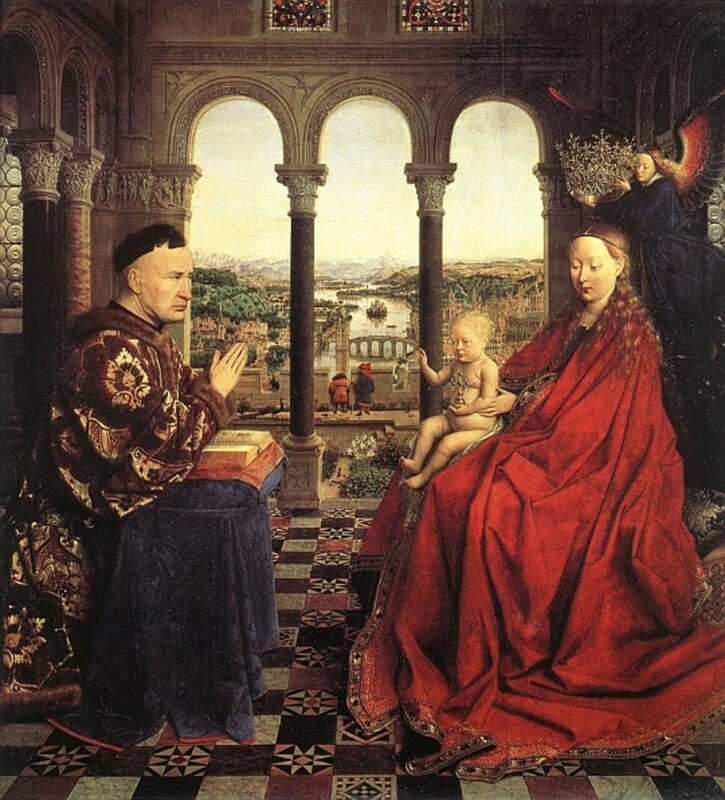 They were decorated in color with a small number of full-page minatures (the large initial letters like the example under the title), often including evangelist and saints' portraits and lavish canon tables. 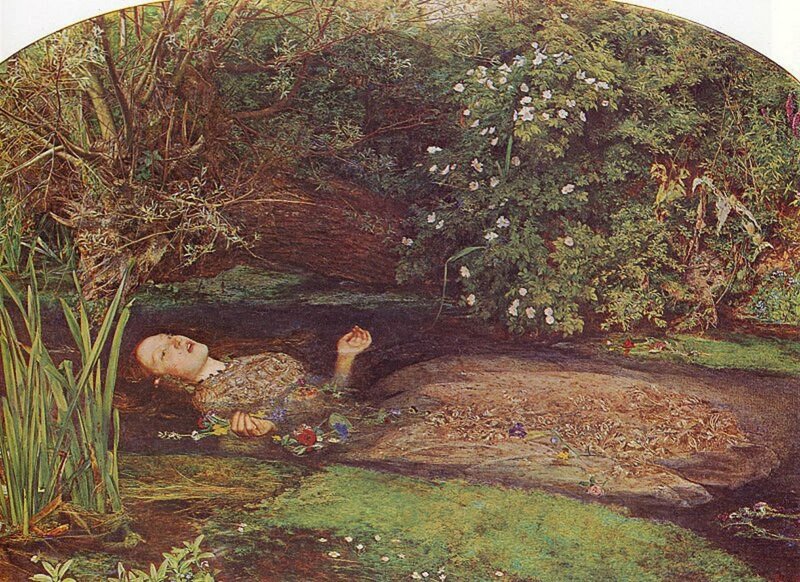 The style of the pictures of people were of Mediterranean drawings and paintings, but the page decorations were of insular art of Britain and Ireland. The large decorated letter or initial to mark the beginning of a new gospel comes from the Irish Book of Durrow. The Irish were the earliest to convert to Christianity in the 5th century, then northern Britain and not until the 7th century did southern Britain Christianize. The Irish monasteries were the strongholds of civilization and the written word and the interlace ornament and stylized figurative imagry in illuminated manuscripts were originally produced in Ireland and northern Britain. The Scottish Book of Kells, written in the 9th century, from a remote monastery on the island of Iona, had a decoration richer and more pervasive and denser in interlaces than the Irish. There are more than 400 decorative initials throughout the manuscript and no two initials are identical. This book even used 24 k gold interlaced through some of the initials through spirals, roundels and interlacings. This book and the Irish book also introduced animal motifs, which became quite popular in the Carolingian manuscripts. It is from these two Irish and Scottish books that the monks at the monasteries during the Carolingian Revival looked to for inspiration in creating their own manuscripts. The Carolingian monks used the oversized and heavily decorated intials of the insular art of Britain and Ireland and added their own touches and historiated the initial to further development. They produced luxury manuscripts that had leather bindings with jewels set in gold and covers of carved ivory panels. These were prestige objects kept in the church or the treasury and certainly not for everyday use. It was a different class of object from the working manuscripts kept in the monastic and court libraries. Some of the grandest imperial manuscripts were written on purple parchment along with the elaborate decorations and drawings. 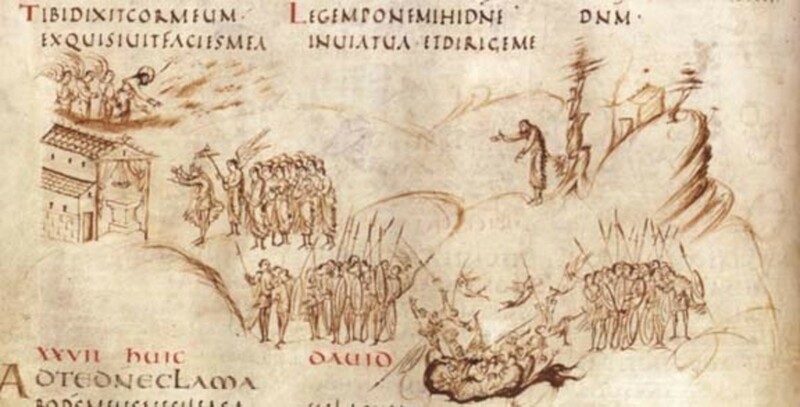 The Utrect Psalter was a heavily illustrated library verson of the Biblical Psalms done in pen and wash and copied from an earlier manuscript. The Carolingian manuscripts are assumed to have been produced by clerics in a few educational workshops around the Carolingian empire and each had its own style influenced by the local clerics. The Court School of Charlemagne which produced the earliest manuscripts with ten total manuscripts being recognized from this school. They were ornate and ostentatious and remeniscent of the 6th century ivories and mosaicss from Ravenna, Italy. This went along with Charlemagne's revival of Roman classicism. The school of the Archbishop Ebo of Rheims was another important workshop. He assembled artists at his school and transformed Carolingian art into something new. His Gospel Book of Ebo (816-835) was painted with swift, fresh, vibrant brush strokes that represented the classical Mediterranean forms. 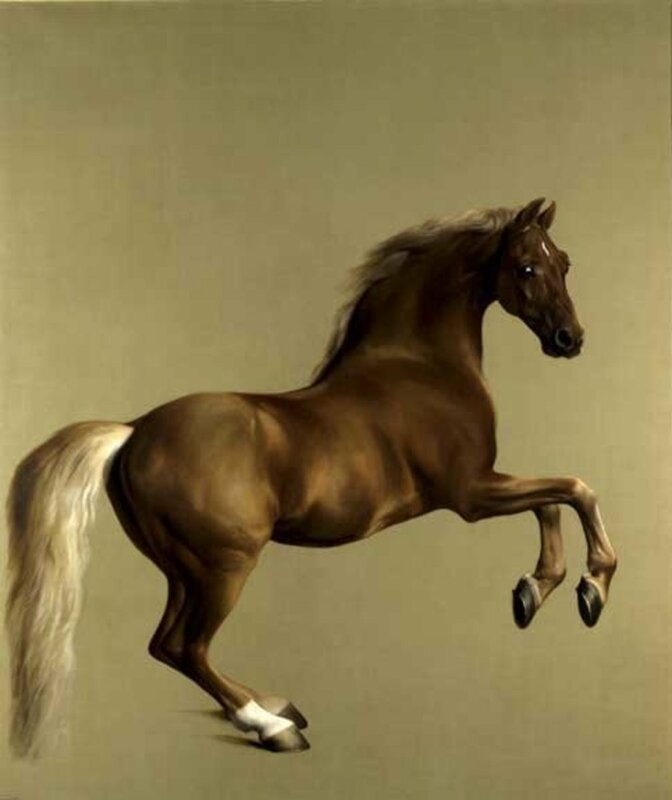 He also published Bern Physiologus, the earliest Latin edition of the Christian allegorical text on animals. Monastery of St. Martin of Tours produced large bibles that were illustrated in the Late Antique style. The diocese of Metz (850-855) was another center of Carolingian art. A sacramenery was made for Bishop Drago illuminated "historiated" decorated initials that eventually influenced the Romanesque period with the harmonious union of classical lettering and figural scenes. A number of richly decorated Bibles were made for Charles the Bald (grandson of Charlemagne) using the styles developed at Rheims and Tours. A new Franco-Saxon style appeared in N. France, integrating Hiberno-Saxon interlace and would outlast all the other Carolingian styles well into the next century. With the death of Charles the Bald the patronage for manuscripts declined and this was the beginning of the end of the Carolingian illuminated manuscripts, some of them the most beautiful in the world. The Holy Roman Empire became dislocated and by the end of the 9th century had fallen apart. But, the Carolingian illustrated manuscripts survive today to show us the painstaking care of the writing and illustrations that took years and years to produce and still sit in national libraries today. Source: Piper, David. The Illustrated History of Art. Octopus Publishing Group Lmt., London, England (1981). 2004 Edition. Anne: So glad you enjoyed this hub! How wonderful to have your own manuscript reproductions. I bet they are lovely. I have been fortunate to see some originals on my travels through Europe and they are stunning. I have always been interested and fascinated by the painstaking detail in them. A book could take years to produce by hand. I find it amazing. Thanks so much for your visit and your kind comments! Ruchira: Thanks so much for reading this. I enjoyoed writing it so much. I know, the visuals are great. Not mine - I found them all on wikipedia - buit they are a good representation of what I was writing about. Your visit is most appreciated! Thanks Eddy! I enjoyed writing this and I appreciate your comments! Pavlo: Thank you! Your comments mean so much coming from such a researcher and writer as yourself. You always write such interesting and riviting articles. Your time reading this is much appreciated! Mhatter: Thanks so much for reading and replying. I appreciate your input always! I have been doing some substitute teaching and have been away from HP a lot lately. Thanks again! Thanks so much Carol. I have been doing some substitute teaching and have not been on HP as much lately. Thank you for taking the time to read this and comment. Your input is valued! Great effort put into it. I enjoyed reading it and the visuals were fantastic! So very interesting indeed and thanks for sharing. It was interesting for me too! Thank you. Fascinating! Thank you for effort to bring this to us. Very interesting. I always enjoy learning new things..from old things. You did a great job and research.